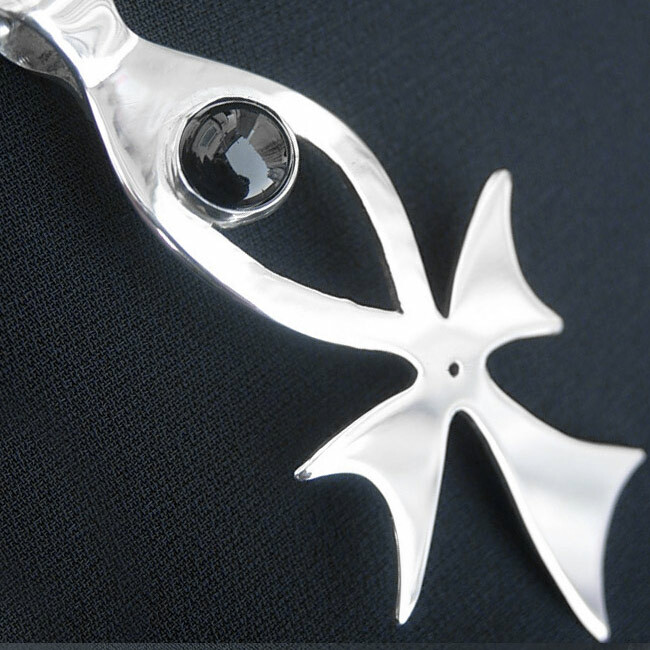 Silver cross design with black onyx gemstone. Approximate size 50 x 30mm. SKU: N/A. Availability: In stock Size: N/A Categories: All Jewellery, Necklaces, Birthstones, Commissions, Collections, Birthstones. Tags: bespoke, commission, commissions, cross, handmade, jewellers, jewellery, liverpool, LWSilver, north west, onyx, silver, silversmith, unique, wedding rings, wirral. 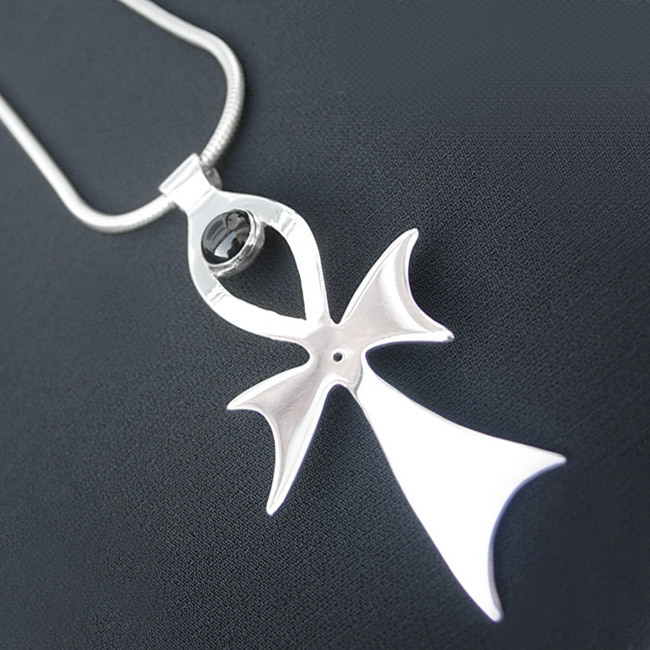 The silver cross necklace design with black onyx gemstone. 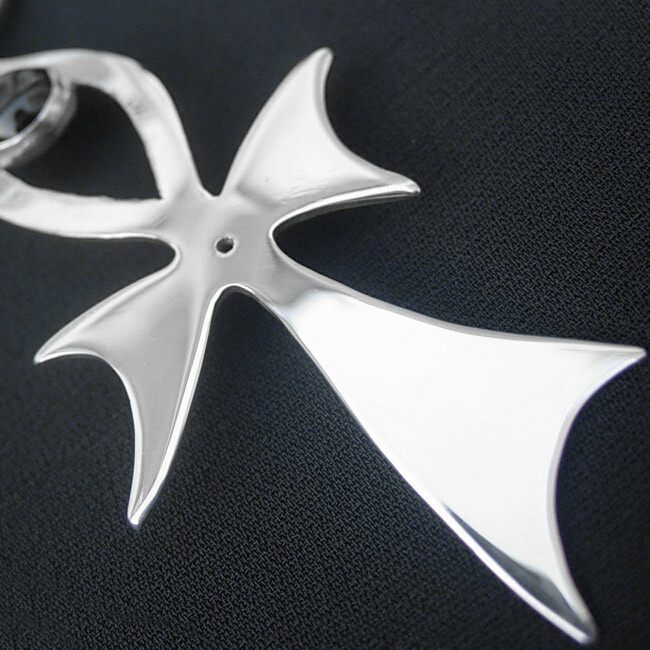 Handmade using Sterling Silver.